Looks like Ulta has started selling their own brand of essential oils? Shown is Bergamot ("known for its balancing & mood lifting properties"), 5 ml for $7. There are lots of others, including Frankincense, Patchouli, Lemon, Ylang Ylang, Lavender, Eucalyptus and Clary Sage, plus some essential oil blends in argan oil. The nerves were rising, but – and I genuinely mean this – when I breathed in through my scarf I felt like my brain physically lowered itself downwards, like when you catch a helium balloon to stop it from floating off. By repeatedly inhaling lungfuls of scent every few minutes, I was gently pulled back from irrational, elaborate and dystopian fantasies to a very calm and sensible space, which kept my imagination (and consecutively I assume, my heart-rate) from spinning out of control. — Alice du Parcq calms herself with perfume; read more at I spent a week trialling anti-anxiety perfumes and here’s what happened at Glamour UK. 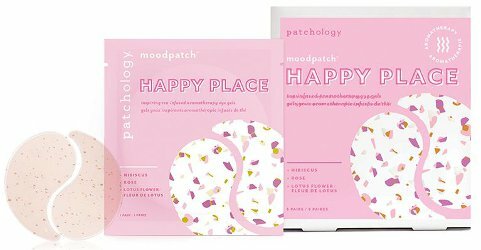 Coming to Patchology, although possibly not soon enough to get me through the rest of this winter, Happy Place Moodpatch Eye Gels: "Brighten your day in just ten minutes with these Hibiscus petal-infused eye gels. Antioxidant-rich Hibiscus, softening Coconut Extract, and skin-conditioning Lotus Flower leave skin happily hydrated. Imbued with a joyful aromatherapy blend of inspiring floral and citrus scents, these eye gels will uplift your mood and tap into the creative muse. "About $15 for five pairs. Electroencephalogram tests have shown that brain waves change in response to different smells and what we sniff can affect the central nervous system and even alter mood. [...] What’s harder to quantify is whether or not a specific scent can reliably trigger a physiological benefit or conjure the same specific emotion for everyone—and if it can do so when combined with other aromas, as in a fine fragrance. 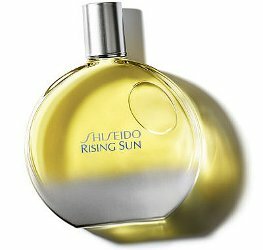 — Read more at Aromatherapy Perfumes: Do They Really Work? at Marie Claire.